Outstanding service from the front desk to patient room! I hobbled on my foot for weeks until I finally decided to go to a podiatrist. I researched best podiatrists on the internet, and Dr. Polun's name kept coming up. I wanted someone in Friendship Heights, and the two things came together in my selection of Dr. Polun. I had never been to a podiatrist and didn't know what to expect. Dr. Polun was amazing. He was very thorough, examining my foot, taking x-rays and doing an ultrasound before making a diagnosis. He gave me time to consider my options for treatment and to begin with the first step of changing my shoes. I continued with him, getting excellent treatment. He is extremely patient and gentle, and knows what he is doing! His staff are wonderful. Thank you for great service! I'm a bit Doctor anxious but dr. Polun explained things well and made me feel comfortable. My experience was none other than Good Ole Fashion Medical Care at it's best starting with something that is rarely exhibited in the practice of today's medicine.........PERFECT BEDSIDE MANNERS. Thank You Dr. Einhorn for taking me back to the days of Columbia Hospital for Women where I learned and witnessed the art of good bedside manners. You guys got it right! Keep doing what you do and your success will be manifested many times over. I am a patient for LIFE! Shhhhh.. I'm praying I never have to go back simply because I will do what I'm told and hopefully, I'll get it right! I just love Dr. Polun! I was in pain from a bunion and other foot issues and had not taken the time to have it checked out. When I was no longer able to sleep through the night due to the pain, I knew I had to address it. I started searching podiatrists in my local area and came cross Dr. Polun - wow, did I luck out. 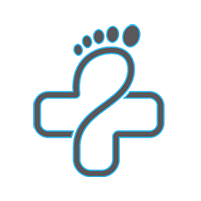 I had surgery on my left foot and while it has been a struggle to handle on my own, Dr. Polun explained everything that I would be experiencing along the road to recovery. I followed everything that he told me to do (you have to if you want it to heal correctly) and I have now scheduled surgery for the other foot. I also want to add that his staff is wonderful and always very polite. I highly recommend Dr. Polun - he makes me feel like I am his only patient when I am at his office and that bedside manner is hard to find these days! 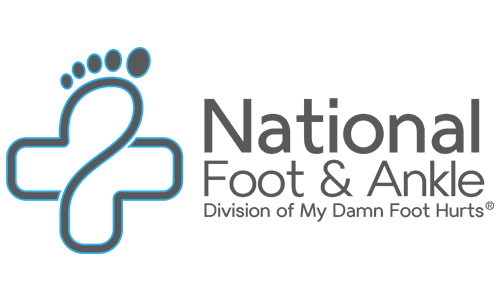 Quit struggling with feet that hurt and go see Dr. Polun - you'll be glad you did! I met Dr. Polun about two months ago. I had an issue with my right ankle being swollen and hurting. He had a hunch that it might be my tendon. I proceeded to have an xray at his office then a sonogram and then a MRI. He suggested to have all three done to make sure he was accurate with his diagnosis. I was impressed. The end result was i had a ligament that was gone from years of activity with my feet. He suggested surgery to replace the ligament. I had the operation a week ago today. I followed up with him this past Monday and a cast was put on my foot and I go back every two weeks to get it changed. I am impressed by his process of elimination. I want to add that his office staff are very professional and very nice. Each one has specific roles and they work well together. They follow up with me every couple of days. I can't wait for this procedure to be completed. I would highly recommend his services to anyone whom are having feet issues. He is the doctor to go to. I want to thank him and his staff for helping me with my surgery. I rate him and his office staff a 5 out of 5. I first met Dr Polun about 30 years ago when he cared for my young son who had an in-grown toe nail. I was much impressed with his friendliness and his concern for my son's problem. Fast forward 25 years and I had an in-grown toe nail. Same friendliness and concern were demonstrated. In 2016 i had an accident involving my foot and Dr Polun PAINLESSLY performed surgery with great expertise. Friendly, efficient, engaging and knowledgeable. The "Best of the Best". great office. right on time. personable and knowledgeable doc. Saw Dr. David Engorn at DC office, appointment was on time , and his bed side manner was great. Dr. Engorn took the time to explain all the options for treatment and I felt secure knowing that he cared about getting me back on my feet at a pace I was comfortable with. Would highly recommend Dr. Engorn and National Capitol Foot and Ankle. Dr. Polun was very good. He took time to explain things, was thorough in examination, and worked to connect with me as a patient. The visit to Dr. Polun was great as usual. He takes is time to treat your problem and explain the situation to you in detail.